We’re pleased to share that Kiley Gosselin has joined the Partnership as its Deputy Executive Director. 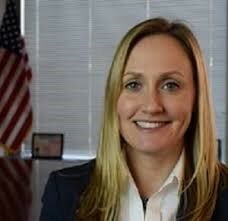 Kiley brings 14 years of experience in the housing and homelessness sector, most recently serving as Acting Director of the Department of Development Services for the City of Hartford. Kiley was appointed by Mayor Luke Bronin in January 2016 and has led the City's efforts on multiple large-scale development projects, supporting small business development, rebuilding the city's Blight Remediation Team and on overseeing Hartford's stock of affordable housing and housing choice vouchers. Prior to her time with the City of Hartford, she served as Management and Program Analyst at the U.S. Interagency Council on Homelessness where she helped coordinate Federal policy efforts to prevent and end homelessness among families and unaccompanied youth and to connect people experiencing or at-risk of homelessness to a variety of mainstream federal housing programs. Before joining USICH, Kiley practiced law for six years with Holland & Knight LLP in the area of business tax, specifically equity financing for affordable housing projects eligible for low-income housing tax credits and various state housing finance programs. Prior to entering private practice, Kiley worked as a policy analyst and legislative advocate for multiple organizations on state and federal policy issues relating to affordable and supportive housing including the National Alliance to End Homelessness. Kiley also worked as a Policy Analyst for the Partnership for Strong Communities in 2005 and 2006 where she helped launch the HOME CT Campaign. She has also worked in the political arena on various facets of state and national campaigns and helped create Connecticut's first statewide voter file in 2004. In the community, Kiley is involved with local and regional political causes, as well as supporting homelessness and housing advocacy groups. She is on the board of directors of the Massachusetts Housing and Shelter Alliance and recently served on the board of the Capital Region Development Authority. Kiley holds a B.A. in Policy Science and Policy Studies from Rice University in Houston, TX and a J.D. from the University of Connecticut School of Law. We’re thrilled to have Kiley’s leadership at all levels of the Partnership’s operations and look forward to her impact on ending homelessness and expanding affordable housing options in the state. Please join us in welcoming Kiley!